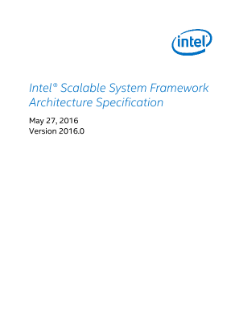 The Intel® Scalable System Architecture Specification is an architecture for high performance computing systems that are used to gain insights through compute and data-centric workloads as well as advanced machine learning techniques. The Intel® Scalable System Architecture Specification enables a high degree of commonality and interoperability between systems. The specification consists of... a modular set of requirements, grouped by section.